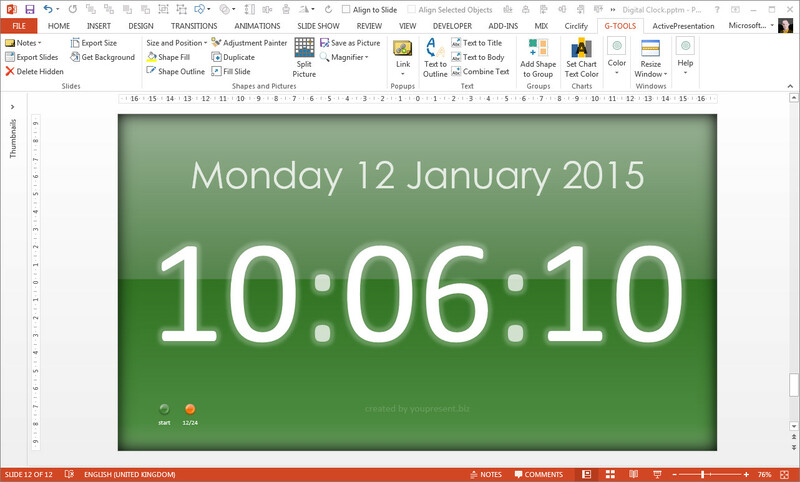 Have you ever wanted to show a clock in PowerPoint? Our free clock does just that, and it’s fully customisable to match your brand or desired style. You can use it on a single slide, making it full screen if you like, or copy it to multiple slides and use it as a discrete time piece during a presentation. 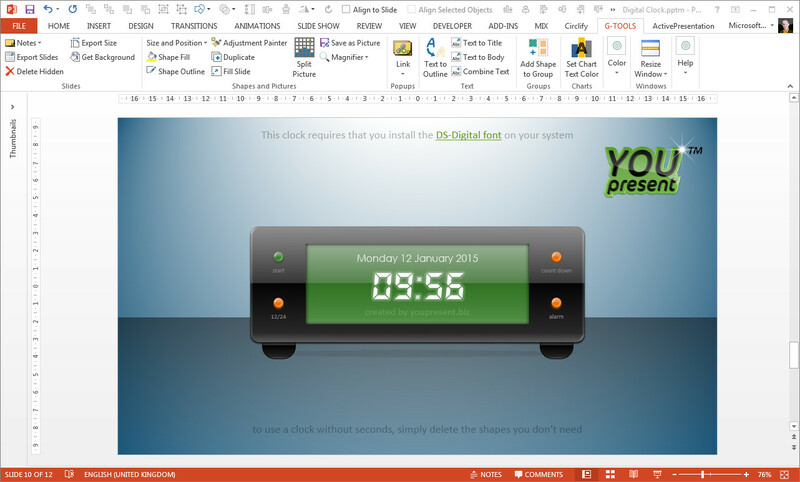 Because the clock is 100% designed with PowerPoint shapes, you can add to it, take away from it and change the formatting of any of the elements that make up the clock. 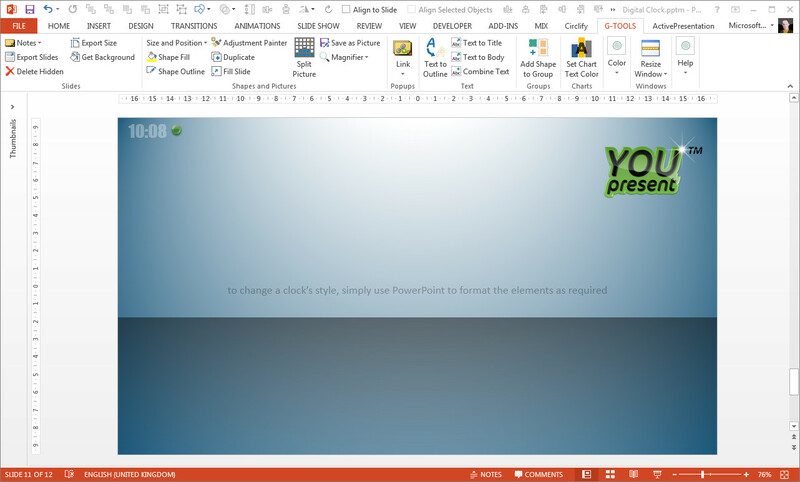 This includes, fonts, shape styles, effects and all the formatting features that PowerPoint provides. You can also use the same shape elements to create an alarm or countdown timer and then setup the times and actions on completion using different start/pause/reset buttons. 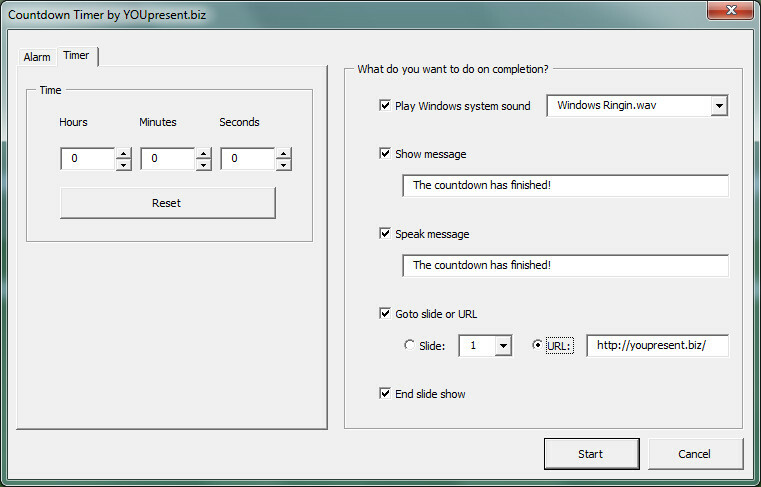 The free version allows you to use and customise the clock on any presentation* you choose but only on slides (not slide masters or layouts). 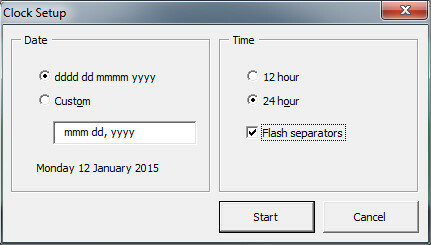 The other restriction is that you must retain the credit to youpresent.co.uk that appears with the clock. Details of the free license are included in the downloadable PowerPoint file below. The full version provides all of the features without requiring you to keep the watermarks and the developer version adds access to the full source code so that you can modify the core functionality. *This app only works on PC versions of PowerPoint.